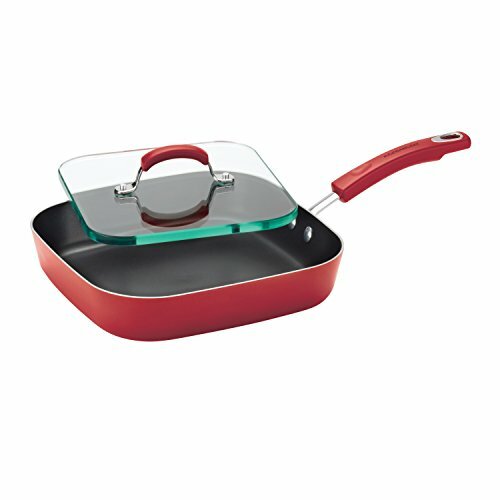 Impress your guests with the perfect Panini from the Rachael Ray Square Deep Griddle and Glass Press. 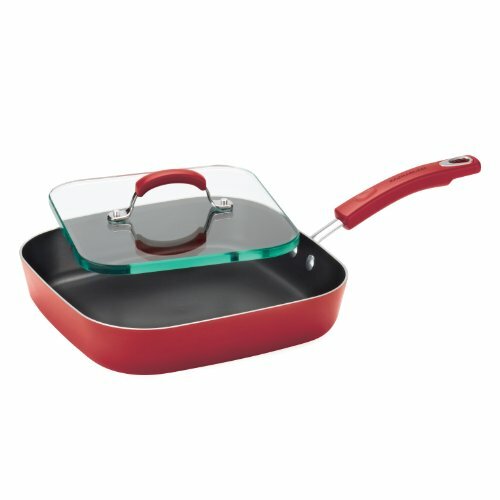 Complete with a solid, shatter-resistant glass sandwich press, this deep skillet is the perfect way to make original creations without any grill marks. 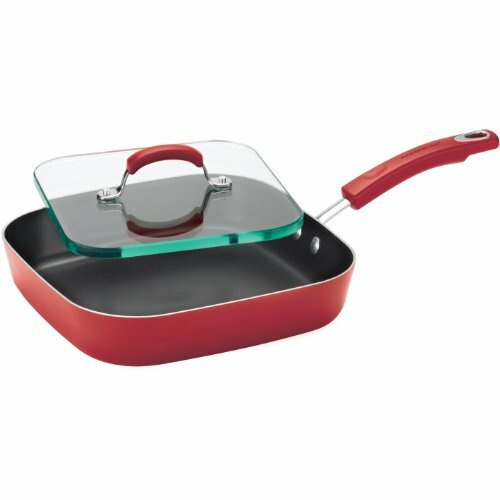 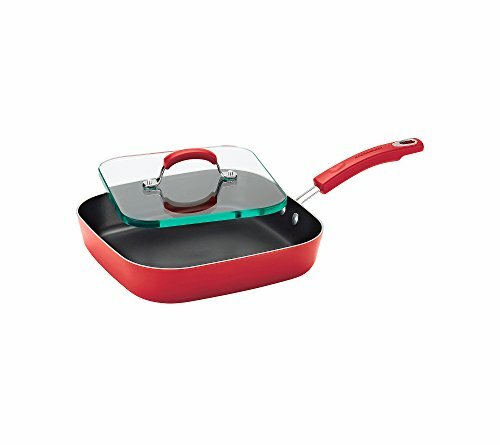 With a durable construction that promotes even heating and a sturdy, colorful porcelain enamel exterior, this griddle set is sure to become a welcome part of your cookware collection.